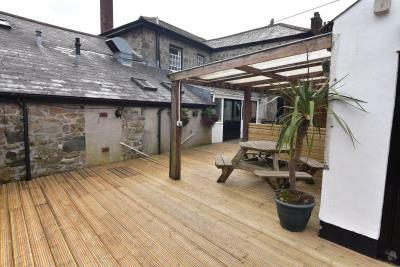 The propertywas located a short drive from the Eden Project but not much else was nearby. It was a quaint pub mostly local clientele. Great location and great staff. Really good food. Does exactly what it says on the tin. 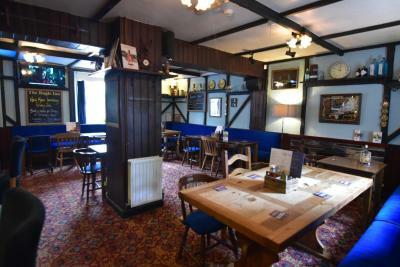 Very comfortable pub accommodation with clean rooms, good value food and friendly staff. Adequate off road parking available. I had to Make an early start before breakfast started and was provided with a food bag which I must say exceeded my expectations!! Separate entrance for guests. Friendly atmosphere. Fish pie to die for and a mean full English made with fresh ingredients not tinned. The breakfast was very good ! Staff were great. Cheerful atmosphere. Family friendly , adjusted to our needs. Warm with both welcome and in rooms. 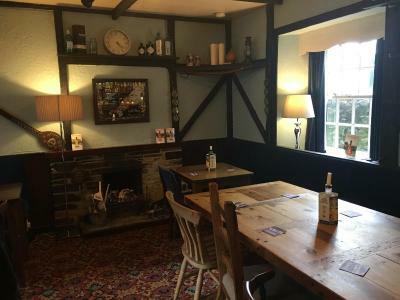 Clean and tidy and food was lovely and the staff were ver accommodating when we needed an earlier breakfast so we could get an early start on the road. 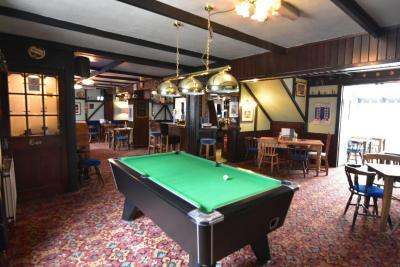 The Bugle Inn This rating is a reflection of how the property compares to the industry standard when it comes to price, facilities and services available. It's based on a self-evaluation by the property. Use this rating to help choose your stay! 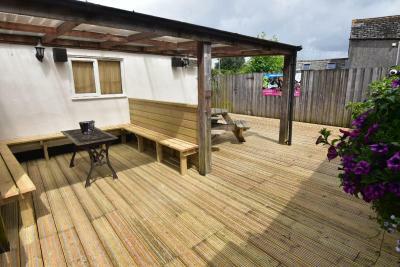 One of our best sellers in St Austell! 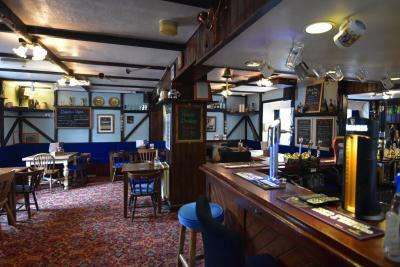 Less than 5 miles from both St Austell and the Eden Project, The Bugle Inn is a traditional Cornish pub with 3-star rated rooms with attached bathroom. 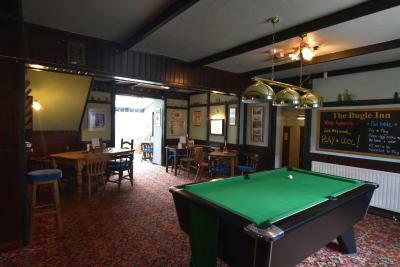 With a bar offering real ale, pub food and live entertainment, The Bugle also provides free parking and Wi-Fi. 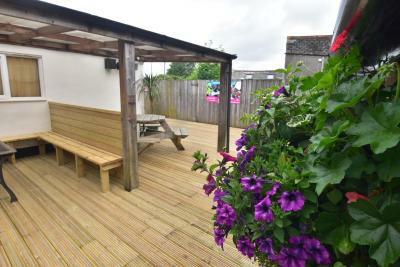 Each room has en suite or private bathroom facilities with shower or bath. There is a TV, telephone and tea and coffee facilities. 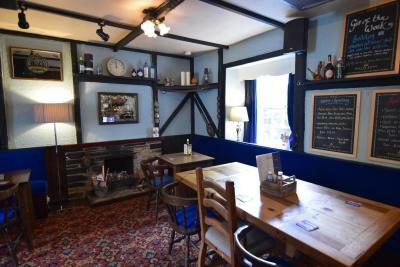 A full English breakfast is served from 08:00 each morning. Local village shops including a small supermarket are a short walk down the street. 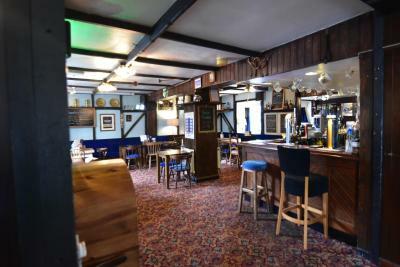 The Bugle Inn is around 10 miles from the beautiful fishing village of Mevagissey on the south Cornwall coast. 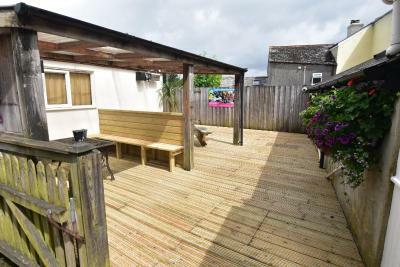 Attractions include the St Austell Brewery, just over 4 miles away, and Tregrehan Garden, 6 miles from Bugle. 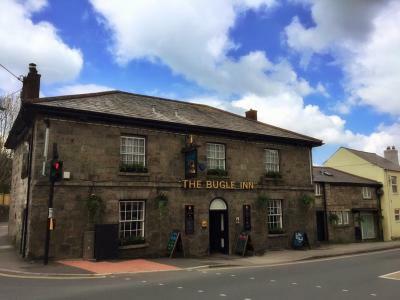 When would you like to stay at The Bugle Inn? This room has a TV, telephone and tea and coffee facilities. A private bathroom is accessed via a staircase. This room with attached bathroom has a TV, telephone and tea and coffee facilities. 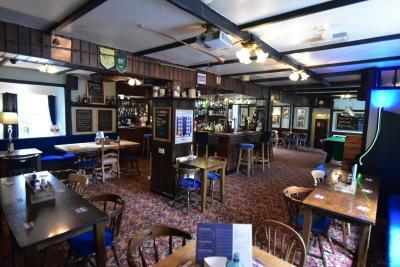 House Rules The Bugle Inn takes special requests – add in the next step! The Bugle Inn accepts these cards and reserves the right to temporarily hold an amount prior to arrival. 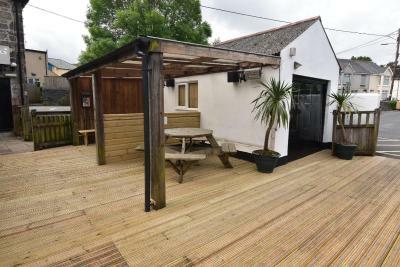 Please note, this property offers entertainment on Saturday evenings until 00:00. Guests may experience some noise disturbance. A bit dated. Can do with a bit of TLC. Rooms were a little to hot. Well you could moan about anything, but the room was clean , the bed comfortable and the TV worked, there was a hairdryer and tea coffee making facilities, bottles of water supplied. There was a bit of damp on the ceiling of the bathroom but the shower was perfectly alright and there were a range of nice toiletries supplied, What more can you expect for £45 a night? You got what you paid for and more. We only wanted to stay one night, we visited some gardens in the area on Saturday and did some shopping. 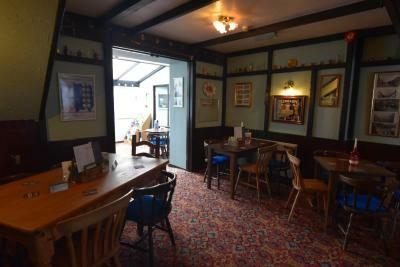 We then went to The Bugle Inn for B & B. The hosts were brilliant, saw us to our room and explained that it was a 50th birthday party with a band on that evening. Well if you stay in a pub this sort of thing you got to expect. Well we just joined in and were made to feel very welcome, like one of the locals, which we liked We had a nice meal a few drinks and enjoyed the band, In the morning Kate cooked us a full English breakfast which was very nice and set us up for a bit more walking along the coast path from Carlyon Bay to Charlestown and back. Thoroughly enjoyed our weekend Thank you Will and co at the Bugle Inn. Sound-proofing non-existent between rooms and music very loud beneath the room. This was explained by landlord though. 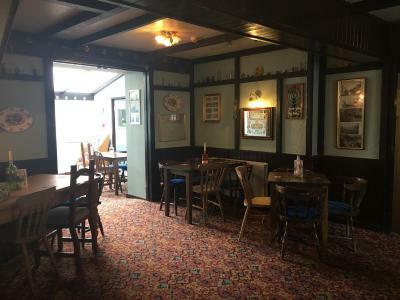 Very friendly and helpful staff, easy to find and good off road parking, the room and bed were comfortable if a little dated but the new owners were keen to please and the food was very good.